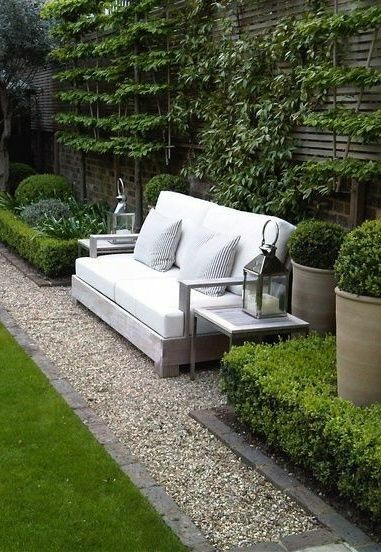 I love shades of grey and green together, so I’ve been saving lots of photos on Pinterest for inspiration to get me started this season…. 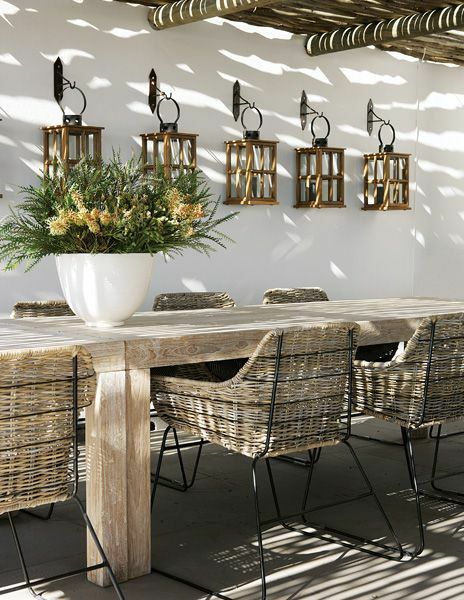 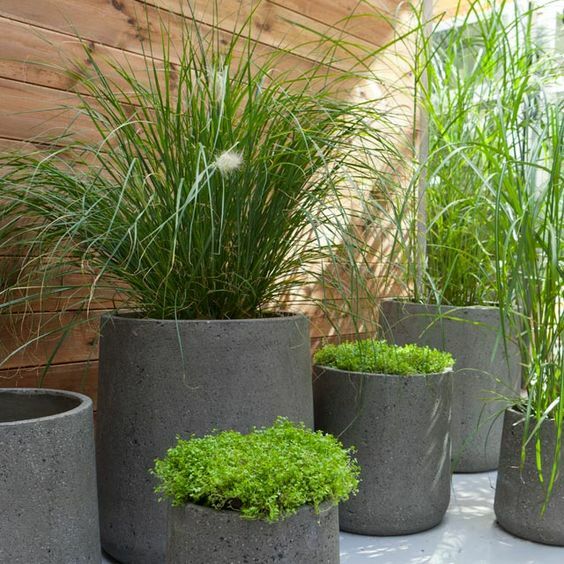 Pots of green grasses look fab grouped together in different height containers…. 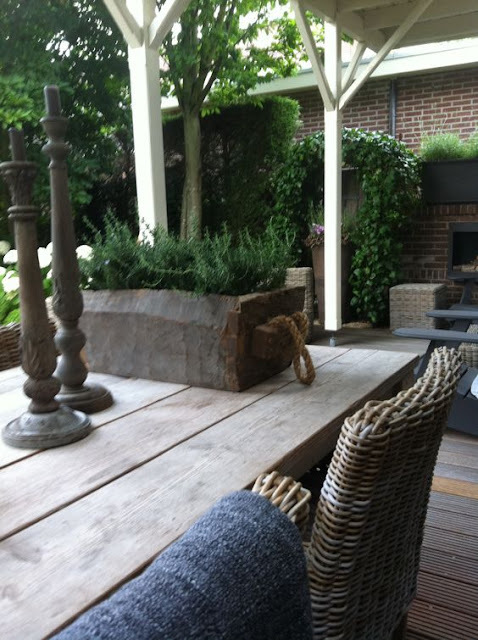 Keeping it simple here with clean lines and soft tone furniture…. A lovely idea to decorate a plain garden wall or add a little interest on the side of a shed…. 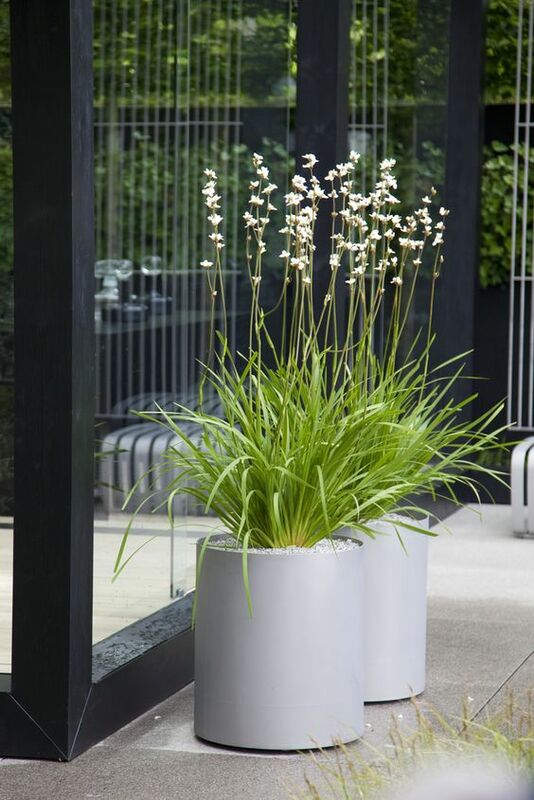 Another lovely simple but effective pot arrangement….